St Olaves01493 846346work VillageSt Olaves to the south west of Great Yarmouth is a small village on the banks of the River Waveney with a village pub and beautiful views over the River Waveney. Boats to sail on the Broads can be hired here. St Olaves is home to a 13th century Augustinian priory with a fascinating undercroft near the bridge on the banks of the River Waveney opened daily by English Heritage. St Olaves to the south west of Great Yarmouth is a small village on the banks of the River Waveney with a village pub and beautiful views over the River Waveney. 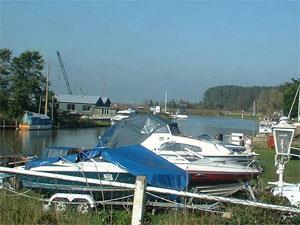 Boats to sail on the Broads can be hired here. The St Olaves Drainage Mill is currently undergoing restoraton works, however the nearby Herringfleet Mill, part of the Somerleyton estate stretching over the county border into Suffolk is the only full-sized smock drainage mill in the Broads with occasional demonstrations.